Our very own principal gives a speech on her life, her university and her favourite things. She was appointed Commander of the Order of the British Empire (CBE) in 2001, and elevated to Dame Commander of the Order of the British Empire (DBE) in the 2009 Birthday Honours. In 2003 she was appointed Principal/Vice-Chancellor of Edinburgh Napier University, the first woman to be leader of a Scottish university. Stewart Kirkpatrick is one of the UK’s leading digital content experts. 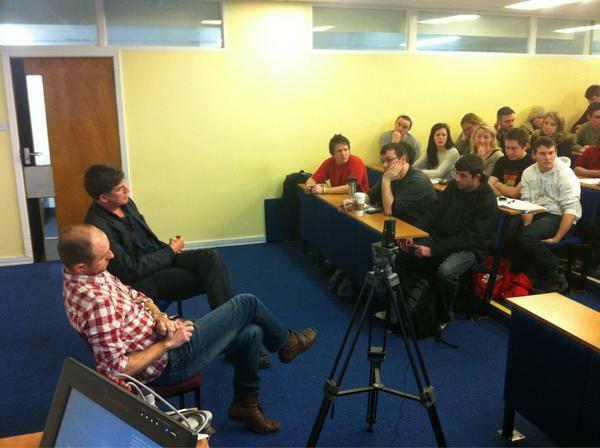 He spoke at our Media Mondays lecture about the digital and social media aspects of Yes Scotland. Catriona Shearer, who studied at Napier 10 years ago, came back again to tell her life story and revisit tales of her experiences here. She tells of how she climbed the ladder from being a student at Napier to working as a presenter for the BBC. We find out how she managed to get her work experience at BBC Radio5 Live and what work she does on a daily basis. Catriona gives a very warm speech and provides plenty of inspiration and advice for student journalists who are just starting out. This talk is well worth a listen.